Selphyl procedures and The Selphyl Facelift are now available in New York and The Hamptons, but what is it? Selphyl is a nonsurgical procedure, as other injectable fillers, and although it is synonymous with the catchy term PRP Facelift, it is not actually a facelift, because it does not involve the re-positioning of facial tissues. The patient’s own blood platelets are injected into the skin to lift out wrinkles, or fill in tissue beneath the wrinkles, and can be used with other synthetic fillers. The Selphyl System requires the doctor to draw blood from the patient. The blood is then centrifuged in order to isolate platelet rich plasma (PRP) from other blood components. The platelets are then activated by exposure to calcium chloride, to form the platelet rich fibrin matrix (PRFM), which is the substance injected into the skin in order to induce growth of new collagen, skin tissue, and blood vessels. The injection of PRFM lifts the skin away from the bone, encouraging new blood flow, and adding volume to the skin. Blood platelets are one type of cells in blood that promote tissue healing. The platelets found in blood accumulate near the site of injury to the skin, and release several growth factors, enabling the skin to heal. These growth factors are embedded and held in place by a matrix, or gel-like substance, and stimulate multi-potent stem cells to develop into new tissue and blood vessels. Platelet rich fibin matrix (PRFM) has also been used in the medical field to encourage bone growth, to reduce the appearance of scars and stretch marks, to heal burns, and to foster dental regrowth. 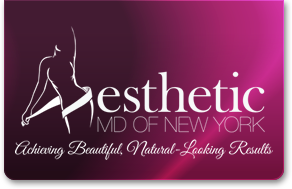 Dr. Ronit Adler is New York’s #1 Provider of the Selphyl Facelift. For information, or to schedule your Selphyl Facelift, Call Our Office or fill out the form on this page and our professional medical staff will contact you.